Wake up with magnificent views of the sea, the famous Marina Bay Sands, the exciting Singapore Flyer and the stunning Gardens by the Bay! Call us at 98529055 for showflat viewing! Living along the Marina Bay District with stunning views of the sea as well as the Marina Bay Sands and the Singapore Skyline is a dream come true. 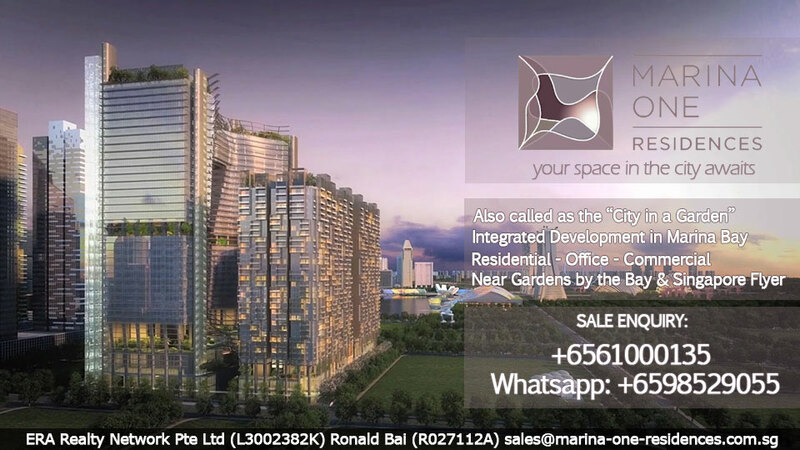 Here at Marina One Residences website we will provide you with more information regarding this development. Visit our website now or call us at 98529055 for showflat preview. Wants to live or invest in a condominium nearby Marina Bay Sands? Marina One Residences is the right place for you!